In addition to the 7×7 Award in yesterday’s post, I was also awarded a pair of Liebsters: one from Prairie Wisdom and another from A Winsome Journey. Thank you both so very much! I enjoy your posts and pictures and am certain that anyone who isn’t familiar with your blogs should click on the links and get acquainted. Now, some of you already know what a Liebster is and some of you may be scratching your heads while thinking – ‘does she mean lobster’? For those people I’ll include the background on the award. 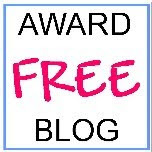 The Liebster Blog Award is given to up coming bloggers who have less than 200 followers. Liebster is German and means sweetest, kindest, nicest, dearest, beloved, lovely, kindly, pleasant, valued, cute, endearing, and welcome. Sounds like a nice way of referring to a little cousin doesn’t it – as in my dear liebster! 1. Lee – This is the busiest retired person I know. I think she retired just to work on more projects. You’ll love her wit and travel connundrums. 2. Melynda – This gal has it together and she tells the funniest stories. I still crack up at the red kool – aid in the shower head prank and often tell her how clever she is. 3. Arindam – Because everyone should be reading his unique perspective – such an interesting young man with a beautiful use of language. 4. Piper – I enjoy this blog for many reasons but perhaps mostly because of the funny things her children do and say. Moms will like this one a lot, but so will everyone else. 5. Ellen – Her lovely blog is an online journal of construction and landscaping and we are all along for the journey with her accomplishments and the dreaded set backs, though those are few and far between. You’ll be cheering her on! So, there you have it – my five dear little liebsters. Now I must go and let them know about their awards. Thank you. It’s always nice to feel appreciated. Congrats Renee 🙂 How are you handling so much awards & appreciation together! I hope you are not tired of these things. It is well deserved and I’m pleased that you are happy with it. I hope it brings more readers to your site as it a favorite. You are very welcome. Your site is wonderful and I hope many others will check it out as well. As is yours! And you already have all of the awards so that is great praise indeed! Thanks! I look forward to checking out these new sites! I think we are building online communities as we write! Congrats. May many more follow. Back at ya! And many thanks! As you can tell, it took me a couple of weeks – not days – to get them done. But that’s ok. And I always enjoy your ‘sense and nonsense’. All good stuff. Wahoo for you! You and this blog are all those German definitions. Thank you and I hope your week is great as well. Congratulations on receiving the award and thank you so much for passing it on to me! 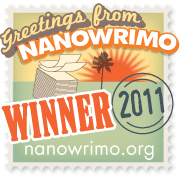 It truly is an honor to receive it from someone of your writing skills! Most of all, congratulations. I have thoroughly enjoyed reading your posts, which are most award-worthy! And am delighted to have been selected by you for this award. Thank you so very much.